Find My Workspace lists over 95% of the business centres market in Nottingham. Simply click Request Quote to check pricing for one office, or Add to Basket for multiple offices. All office suites and workspaces are located within a modern, detached building and are all on the ground floor. There is a reception area, which is manned during office hours and can be used to accept small deliveries and messages when clients are not in residence. The office space provides modern, light accommodation with carpets, suspended ceilings, double-glazing and centrally heated radiators. The standard of decoration is high and the units are situated within a secure environment. Tenants are provided with keys to the front entrance, which has 24-hour access and an electric roller shutter door is provided for additional security. For visitors there is a door buzzer to each of the units and they can be escorted by ringing reception. 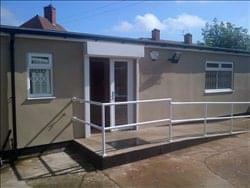 There are shared kitchen and toilet facilities and off street shared car parking is available. All the units are provided with central heat which is inclusive of the costing. Electricity is metered separately to each unit and is invoiced on a monthly basis. The space is ideal for small or medium sized teams. Recently refurbished and restored. This four storey premises with central access point to provide “own front door” offices can be split by a floor by floor basis, with offices varying in size from 6 person upwards. Each floor has the benefit of great natural light, open plan space with separate management/meeting room and each floor has their own toilet and kitchen facilities. 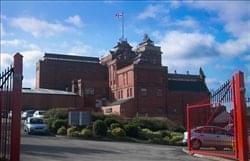 The property also benefits from a secure gated yard, providing on-site car parking. This centre is a high-specification, eco-friendly building designed to accommodate everything a new and growing business needs. Office space is competitively priced with offices available to accommodate businesses with between 1 and 7 staff. Price includes full reception service, furniture, electricity, broadband, security & service charges. Phone line, photocopying and mail franking also available. 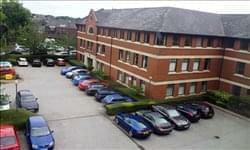 Excellent transport links with nearby tram stop and large free car park. The centre also has an on-site café, conference facilities, meeting rooms and a media suite. Discounts on these and other services are available to all tenants. 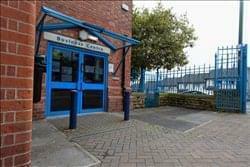 This centre has been established for over 30 years and are a provider of business support, training and events. Clients can access low cost, often fully subsidized, face to face business support, workshops, networking events and exclusive business grants and finance. This is a managed office space facility that provides serviced offices, along with conference, training and meeting space. It provides an ideal environment for business start-ups and enterprise development within the locality. The centre offers a range of commercial office space with flexible “in and out” terms, a fully inclusive package (including heating, lighting, business rates etc..), state-of-the-art broadband connection, full reception and administrative service, available meeting rooms, ample car parking for visitors and staff, and high-level security. The centre is ideally located between the City Centre and the M1 Motorway. Fully serviced office space available from January 2016. 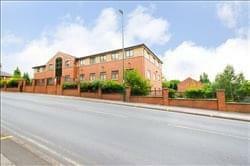 These offices sit within a modern two floor business centre located close to the city’s Creative Quarter and only a mile from the City Centre. The offices start from 120 sq. ft., the rent is fully inclusive and they are available on long term and short term leases. The Business Centre is fully accessible, has parking facilities, CCTV and intercom access. Each unit contains panel heaters, LG7 office lighting (designed to reduce glare on computer screens), suspended ceiling panels, perimeter trunking for electrical wires, secure intercom entry system and CCTV, and 24 hour access. There is car parking on site as well as street parking available next to the centre. 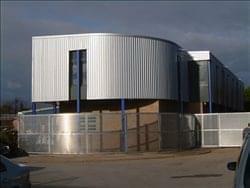 The centre offers an on site management team, with 24 hour access and secure intercom entry system and CCTV. The offices are modern, well-presented, and generously sized with meeting facilities. There is high performance, energy saving heating (wet system radiators) and category 2 office lighting (designed to reduce glare on computer screens). There are great networking opportunities within the centre and ethical tenancies with your rent going to support charitable activities. 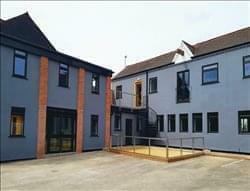 This brand-new Business Centre located in Carrington, only a short drive away Nottingham city centre. 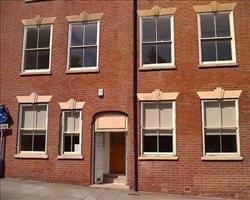 Offers contemporary designed office space which complements the buildings quirky character. All offices are light and airy and decorated to feel professional and clean. Here, there is everything a modern day business will need including a staffed reception who handle all mail and ensure that guests are greeted friendly and professionally. The super-fast Ethernet and telecoms system makes sure that your business is always up to speed. Other amenities here include access to various kitchens, breakout areas, courtyard and green balcony the centre is a great place to grab a coffee break or socialise when you’re not hard at work. This centre offers purpose built, managed office accommodation for ambitious new, and growing, SME’s. The workspace is situated within an incubator environment; supporting growth and development of businesses until they are ready for larger commercial premises. There are 27 offices in total over three floors, in a range of sizes to meet a broad cross-section of requirements. Complete with broadband connectivity and office furniture as standard; you can move in quickly and easily. With the benefit of a sophisticated telecoms system, and a team of award winning service professionals, this centre provides the support and comfort required to enable you to concentrate on your business and customers. 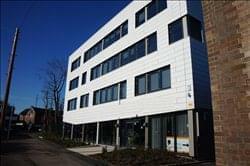 The Centre provides offices for all types of small businesses and entrepreneurs with a particular focus on those businesses in the green, environmental and low carbon sectors. It provides serviced offices, virtual tenancies and meeting rooms, as well as warehouse space. There is also free meeting room use, on-site free car park and full reception service including ability to provide phone answering facility etc. 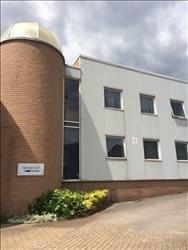 Situated around one mile north of Nottingham City Centre, this centre provides impressive serviced office accommodation in a convenient location. Main road routes give easy access to Nottingham City Centre, as do bus links and the tram network. Junctions 24, 25 and 26 of the M1 can also be easily reached. This space enables clients to lease exactly what they need. From a single desk in a private office, to 5,000 sq. ft. of open plan space, leases can be agreed from three months to 25 years. Great office for two, three or four people just off the Nottingham ring road near the Crown Island. 1.5 miles to city centre, five miles to M1. You will have your own front door, 24/7 access, and your own toilet & kitchen. There is Cat 5 cabling with high speed broadband and Wi-Fi. Shared yard with five other businesses, a very secure, alarmed and gated and easy terms. 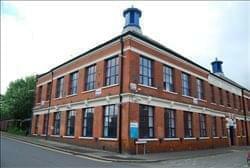 Flexible serviced office space available to rent in Long Eaton with hot desk opportunities. Serviced offices range from 1-25 desks giving plenty of space for growth. There is over 2500 sq ft of communal space available for clients to use along with two meeting rooms. The building is currently undergoing refit and will be open in April 2018, the photographs are illustrative of the proposed image of the newly renovated space. The space will come furnished and will be of a stylish open plan feel with comfy lounge area. Facilities include; showers, entry phones system, printing and copying facilities, central heating, air conditioning and CCTV. The offices are accessible 24 hours a day, come with WiFi connection and are available on flexible terms. Located in the heart of Nottingham, these newly refurbished offices offer 18,000 sq. ft. of fully furnished, air conditioned office space. The shared lobby is the heart of the building with a bustling cafe, breakout spaces meeting rooms and a mini auditorium. Close to train, tram and bus connections this bright and airy office can seat up to 60 desks available for full or part occupancy. Offering flexible lease terms from three months to five years.This centre offers all-inclusive pricing, so you can move in with peace of mind that there will be no unexpected costs each month. Modern office space in purpose build office building spanning three floors. Fantastic offices are available with plenty of light and work space for productive working. This accommodation is situated on the ground floor and is around 3251 sq ft. The centre has 24-hour access and security in place and access to other business centres across the UK is available, giving you great flexibility! The space is fully air conditioned and has central heating to ensure the temperature can be adjusted for comfortable working. The building is modern and the layout of the office space is open plan, which works well in the centre. Company signage is available and tenants have access to conference facilities on site. This is a fabulous option for your new office location! To obtain information for your selected Nottinghamshire Business Centres, please tick the "Add to basket" box for each office you prefer and complete the form below. We will then send a detailed report via email.